When I was a young child, my dad worked the first shift at a company that made kitchen ranges. I would often hear him leave the house well before it was time for me to get up for school. He would get off at 3pm, come home, change clothes, get in his pickup truck and head out the door. He often wouldn’t return home until 9 or 10pm. And on Saturdays, he would often be gone all day. You see, my dad was a handyman. He would remodel kitchens and bathrooms, replaster walls and ceilings, and even build room additions. He quickly gained a reputation for doing quality work. My dad usually worked alone except when my brother or I were called upon to lend a hand. He instilled in me the notion that if you want something done right, you’ve got to do it yourself. He didn’t cut corners. He didn’t tolerate shoddy workmanship. He took the time necessary to do the job right, down to the last detail. My dad’s reputation grew and soon he had a backlog of people that needed some work done. He eventually left his factory job to become a self-employed handyman. It was a proud moment for him. He even had a batch of business cards printed up to hand out. But he really didn’t need business cards. My dad worked for over 30 years without doing any selling or marketing. All of his business was by word of mouth. He never lacked for work. I remember listening to his side of the conversation on phone calls where someone was wondering when he could start on their job. “Not until I’m done with the job ahead of you,” he would say. Some people were upset. But they still hired him. Why? Because of his reputation. He did good work and didn’t leave the job until it was done right. If he made a mistake, he corrected it. He didn’t try to hide it. What does this mean for you and me? 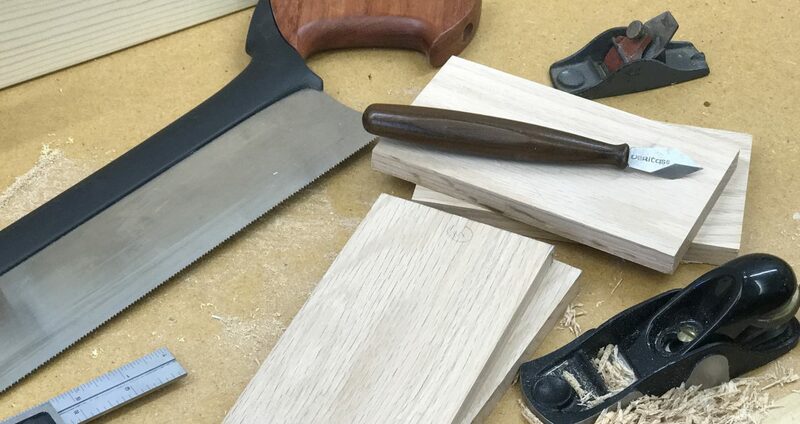 The lesson is this: Whether you’re a hobbyist woodworker making a gift for a friend or the owner of a shop with dozens of craftsmen, your reputation is the most powerful marketing tool you have. Don’t take it lightly. Do an excellent job for your customer and word will get around.